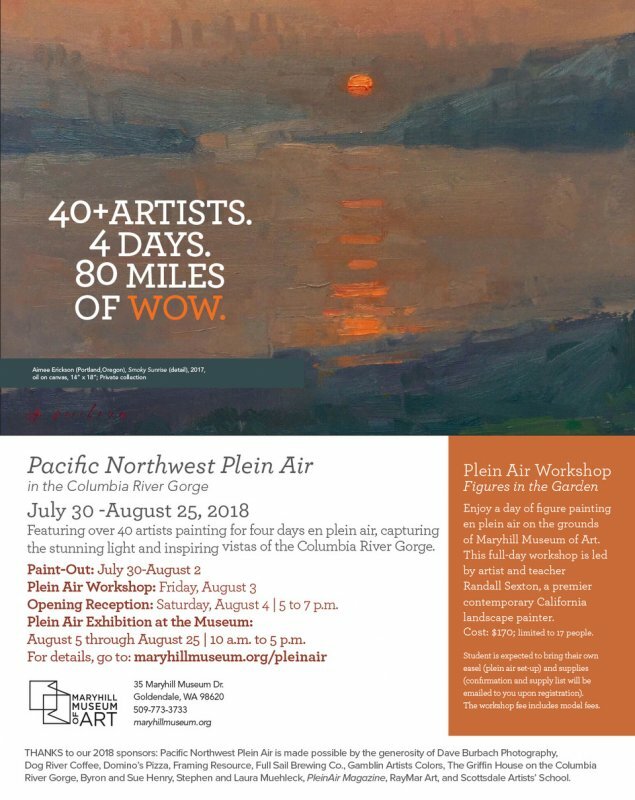 I will be participating in the Pacific Northwest Plein Air 2018 event in the Columbia River Gorge during the first week of August. The event will culminate in an exhibition at Maryhill Museum, with an opening reception on August 4, 5-7pm. The exhibition will be up from August 5 through August 25. The museum is open daily from 10am to 5pm. 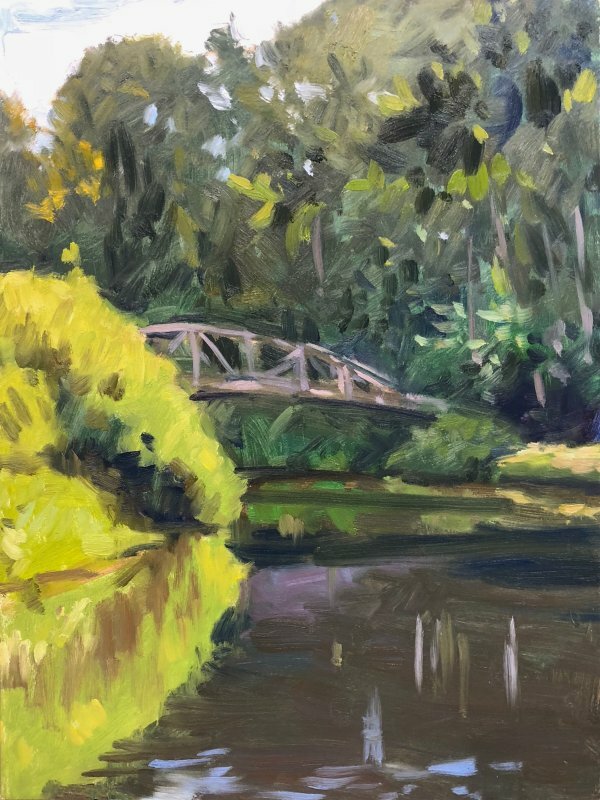 I've been doing small studies, or apunte (spanish for 'note') of the Park at Bothell Landing. These are typically 9 x 12 inches or a bit smaller/larger. Some of them may get worked up into larger paintings, if the composition demands more scale.